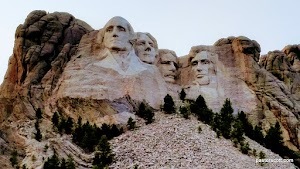 Mount Rushmore is spectacular and I would come again to see this monument honoring our country. The size and detail are amazing in the daytime and beautiful at night. After dark we saw a short movie about the monument, heard stories from a park ranger, and watched the lowering of the American flag by ex-servicemen from the audience. This monument is cared for by the National park Service and includes a visitors’ center, gift shops, and museum where we watched a movie telling the story of how it all came about. The artist, Gutzon Borglum, was a first generation American of Danish decent. He began the project in 1925 and it was completed by his son Lincoln shortly after his father’s death in 1941. 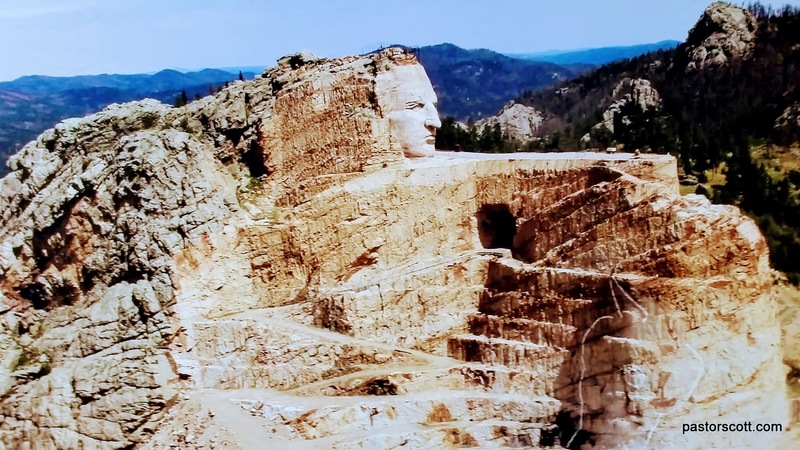 We also enjoyed going to the Crazy Horse Memorial. This is a family owned monument and the ongoing work of Korczak Ziolkowski and his family. There are American Indian artifacts and items on display as well as a gift shop and a restaurant. Ziolkowski and his wife have passed on but his children continue the sculpting. We were lucky enough to be there for not only one of the nightly lazar light shows but also one the two nighttime dynamite blasts that are done each year. Although it was extremely crowed we found indoor seating that allowed a great view of the light show and blasting. We’ve never seen anything like the blasting, as over 100 charges were set off in rapid succession, each one with a “boom” and fiery flash of light. Both of these monuments are worth a visit and both should be visited in the early evening so they can be seen in both daylight and under lighting. 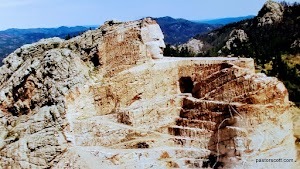 This entry was posted in Jackie and tagged history, museum, National Park, review, sightseeing, South Dakota. Bookmark the permalink.